After March 31, 2010, The Joint Commission’s Pregnancy and Related Conditions core measure set was retired and replaced with the new Perinatal Care core measure set. The new Perinatal Care core measure set includes exclusive breast milk feeding, and is now available for selection by hospitals beginning with April 1, 2010 discharges. There are many different ways that communities support mothers and babies to breastfeed, and everyone plays a role. 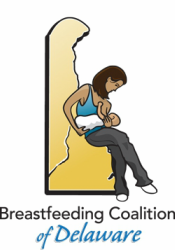 The CDC Breastfeeding Report Card provides state-by-state data so that health professionals, legislators, employers, business owners, community advocates and family members can work together to protect, promote, and support breastfeeding. The Report Card indicators measure types of support in key community settings as well as the most current data on the breastfeeding goals outlined in Healthy People 2020.